Day two finds us with Carly Rose at Carly’s Book Reviews!!! Last tour, I made a new friend when Carly hosted us, and so naturally when setting up my tour, I thought of her. When asked if she wanted to host me a second time, she jumped at the chance! 😀 And… she offered to review! 😀 Yay! Here at Carly’s today you will find a guest post about my fascination with siblings, a BONUS scene (I love to write these!!! 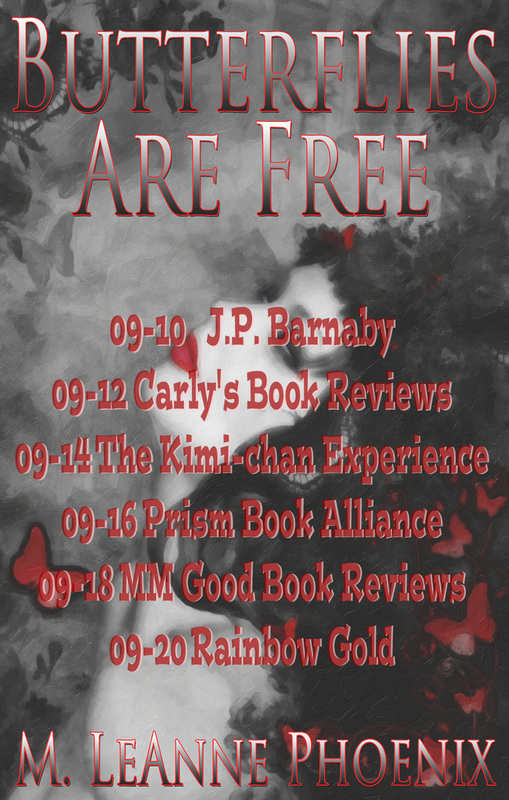 ), and Carly’s amazing FIVE STAR REVIEW of Butterflies are Free!!! So what are you waiting for? Come down and see us at Carly’s Book Reviews! Remember, for the next three months, Butterflies will only be available on Amazon as I’m trying out the KDP lending library experience! You can find it here: Butterflies on Amazon! Thankee! 😊 I love working with you and I hope that we have many tours together to come!